Do yourself a favor and include Tarah in your big day!! We got married in May of this year, and I called Tarah panicking about a month before the wedding. I had tried to do most of the planning and set up myself, but there was no way I was going to be able to make sure everything was set up on the day of and enjoy my wedding. Tarah was a calming force, and answered all of my questions, taking the time to sit with me for two and a half hours and go through exactly what I wanted the day to look like. She asked questions I didn’t know were important (but actually were) and put together a day of list so that everything would go according to plan! She was amazing at the rehearsal, getting our enormous bridal party organized, and was just the sweetest person!! She found me servers and bartenders in my price range, and saved me the intense hassle of going through all of the options. The day before the wedding one of the servers I had found (a friend) got sick and couldn’t make it, and Tarah found yet another person to work the wedding last minute!! She is the full package, and our wedding day would not have been the same without her. She’ll ask all the right questions and set up your day, and handle the stressful little things so that you can actually enjoy your wedding!! I know that she was the best decision that I made for that day (other than marrying my husband- he’s cool I guess)!! Tarah was so amazing to work with! She was very responsive even from months before the wedding. As it got closer to our wedding day she would answer all of our emails and questions in a timely manner and addressed every detail. She was a great help in figuring out our timeline and gave us lots of great advice. She also navigated all the family demands and issues like a pro that she is. We had a big Persian-Lebanese wedding that was pretty complicated, and Tarah handled the cultural aspects of our wedding day really well and was very respectful and thoughtful throughout the entire process. On the wedding day she was there for me and my husband every minute and took care of any issues that came up, so we actually got to enjoy our wedding and dance the night away. She was great at keeping us on track so that we hit all of the things on our timeline and in the middle of all the craziness she always made sure our drinks were full and that we were happy and having fun :) I don't know what I would have done without her, she was definitely one of the best decisions I made. I highly recommend Tarah and if I could go back in time I would choose her again! Tara was so wonderful, organized, and extremely helpful during the whole planning process. On the day of, she was even more amazing juggling everything. I didn’t have to worry about anything!!! She made sure the whole wedding ran smoothly and that everyone was clear on where to be and what to do when. 10/10 would recommend to anyone needing some help! Tarah is awesome! A friend recommended her to us and we were so glad we spent the money for a coordinator. She was there for us during the planning process and attended some of the key meetings with us like food tasting and music. She helped us think of things that we were missing and was extremely helpful the day before and the day of the wedding. Definitely worth the money to have everything taken care of. We couldn't have done it without her! Going to have to say it,....I was a "nah sayer" - when my daughter suggested we have a wedding coordinator - my thought,..."we got this"....Well - let me tell you what, you don't "got this" - having Tarah as our wedding coordinator proved to be an essential component to an absolutely perfect day! She thought of everything, handled everything and allowed me to completely detach from all of the details. I could see everything was just getting done, and not ONCE did I have to step in.....WE LOVED EVERYTHING - the day was exceptional because of her guidance...before, during and after the ceremony! Thx Tarah - so thrilled to have had you as part of our day! Absolutely hands down the best purchase of my entire wedding! Tarah was a mere text message away at any given time and I never had to stress about any part of our special day. She took the time and met with us at our venue ahead of time with a complete checklist of things that needed to be done. We were so surprised at all the things we had forgotten or hadn't thought of! And I had the hardest time deciding how I really wanted things to look at the ceremony/reception. The only direction I could give Tarah was "just make it beautiful and let me know how much to pay." She was right back with me with a few different options, all very affordable, that she could make happen. When it came to the day of, if something didn't go as planned I never knew it. Everything seemed to run like clockwork, right on schedule, and beautifully completed. She was always super calm, never flustered, and helped me avoid family drama--even on the day of!. Even my vendors complimented her! She's absolutely amazing at what she does and I'm so glad she coordinated our special day. Working with Tarah could not have been more fantastic and she truly went above and beyond to help us in any way she could. We paid for our own wedding and were extremely cautious with every dollar we spent, and Tarah was absolutely worth more than the cost of her services. 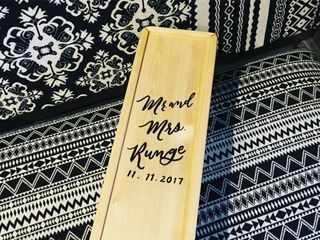 Not only did she review each of our contracts and save us from adding unnecessary extra time with some of our vendors (essentially paying for the cost of her services in the process), but her proficiency, efficiency, knowledge, and professionalism truly made all the difference on – and leading up to – our big day. We honestly think Tarah has a clone, or 5, given her unbelievable capability to accomplish numerous insurmountable tasks in an impossible timeline. For example: she somehow located both of our bags of clothes (lost in the getting ready rooms), both of our cell phones, our keys, a tray of pb&j sandwiches, and a case of wine – ran them down to the shuttle parked a block down the street, and came back to cue us for our sparkler exit in under 5 minutes. She did these things constantly all day long and because of her, we were able to relax and enjoy the day, spend time with our guests, be in the moment, and not stress about the small details. 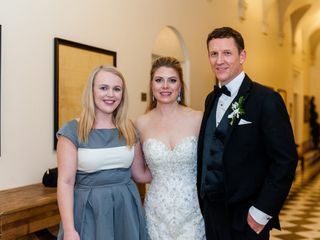 Leading up to my wedding day, we were warned constantly to “go with the flow” because “things always go wrong” the day of – and we truly cannot think of a single pain point from the day because Tarah helped things to flow so perfectly. We received overwhelmingly positive feedback from our guests about how seamlessly everything worked, and we owe a huge thank you to Tarah for making it happen. 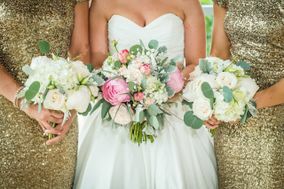 If you are like we were and are on the fence about hiring a wedding coordinator, we can say confidently from experience that her services are a worthwhile investment. Tarah with Tarah Trump Weddings came on board to help with coordination of my Son's wedding. I thought after being in the business for over 28 years that I knew EVERYTHING. In the last few months- the time, the stress and family communication became hard to deal with. I called Tarah and she came to the rescue...she met with the brides family, bride, my son and myself and immediately took charge and calmed us all down. I am so grateful for what she did prior to the wedding, at the rehearsal and during the wedding. We were all able to ENJOY the wedding and everything went perfectly, I can honestly say that I don't think that would have been the case without Tarah. She comes with my highest recommendation! I believe that we SAVED money by hiring her...and I wish we would have done it from the beginning! Tarah was amazing to work with! She was very on top of things and took care of last minute details very well. She is professional and easy to get ahold of. I chose the day of service package and it was more like the month of package which took care of a lot of vendor emails and took some of the stress out. I would definitely recommend her as a wedding coordinator! Tarah is awesome! Our day was perfect and we have her to thank for that! I thought I had thought of everything until I met with her! All those little details that you don't think of, she's got them covered! She made our wedding day so easy and smooth! If anything did go wrong we had no idea! She made it so we could just enjoy time with our guests and celebrate our big day! I would recommend Tarah any day of the week! She swooped in and saved what could have been a disaster and she expedited everything because of our situation and time crunch. Best of all, she made sure that WE ATE. We actually got to eat at our own wedding and have fun with our friends and family because we knew that she had it all handled. Thank you Tarah! Tarah was authoritative but not pushy. She took command of the situation allowing the family to enjoy the day! Thank you Tarah, we couldn't have done it without you!